Supply 4 10/100Mbps adaptive high speed forwarding data packet non-lost port. Each port is supported by MDI/MDIX auto flip and self negotiation. Support IEEE802.x flow control for Full-duplex mode and backpressure for Half-duplex mode. 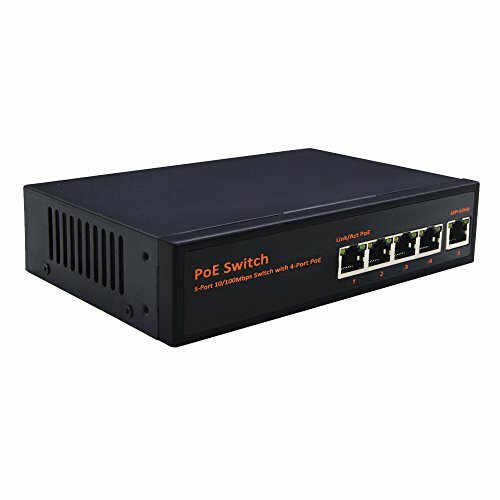 Intelligent power management 1 to 4 ports with PoE intelligent recongnition, such as the system will open IEEE802.3at standard automatically and priority mechanism port support power supply if electric equipment power over IEEEE802.3af standard. Detecting and recognizing PD equipment and supply power for it automatically which obey IEEE802.3af/at standard.